1:00pm-1:45pm Keynote Speech 1: Heterogeneous computing platforms for IoT applications. Dr. Yuichi Nakamura, head and general manager of System Platform Research Laboratories, NEC Corp.
IoT(Internet of Things), which collects various data in real world and analyzes values from collected data is are good methods to help solve such serious problems and to construct efficient social systems. Meanwhile, since it takes a long time to collect and analyze “Complicated Big data”, efficient network system and computer systems are required. Integration of heterogeneous computing and 5G network is the best platform to provide complex IoT systems. In this talk, a reason why complex IoT systems are require heater computing and high-speed communication systems is presented. In addition, some use cases of IoT infrastructures are also introduced. Yuichi Nakamura is the head and general manager of System Platform Research Laboratories, NEC Corp. He joined NEC Corp in 1988. He has more than 25 years of professional experience in R&D for VLSI CAD, software engineering, embedded system design and parallel systems. He contributed to develop NEC’s WDM, submarine optical system, main frames, various SoC design, and supercomputers, especially “Earth Simulator” which achieved No1 fastest computer from 2002 to 2004. He is author and co-author of more than 30 journal papers and more than 70 conference papers in embedded systems and received PhD. degree in 2007. He is also a guest professor in National Institute of Informatics from 2009. Dr. Geschwind is the Gordon and Virginia MacDonald Distinguished Professor of Human Genetics, Neurology and Psychiatry at UCLA. In his capacity as Senior Associate Dean and Associate Vice Chancellor of Precision Health, he leads the Institute for Precision Health at UCLA. His laboratory has pioneered the application of systems biology methods in neurologic and psychiatric disease. Dr. Geschwind has put considerable effort into fostering large-scale collaborative patient resources for genetic research and data sharing in autism research. 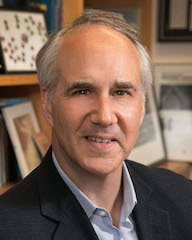 He has served on numerous scientific advisory boards, including the Faculty of 1000 Medicine, the Executive Committee of the American Neurological Association, the Scientific Advisory Board for the Allen Institute for Brain Science, the NIMH Advisory Council and the NIH Council of Councils. He has published over 400 papers and serves on the editorial boards of Cell, Neuron and Science. He has received several awards for his laboratory’s work and leadership including the Ruane Prize from the Brain and Behavior Foundation in 2013 and the Derek Denny-Brown Neurological Scholar Award from the American Neurological Association (ANA) in 2004. He is an elected Member of the American Association of Physicians and the National Academy of Medicine.